Recently, I was told that Voices.com is the world’s largest website devoted to connecting producers with voice actors. So, to learn more, I met earlier this week with David Ciccarelli, President & CEO (and co-founder) of Voices.com. “I began my career as an audio engineer,” David told me. “I opened an audio recording studio in Ontario, Canada, and worked on standard audio projects. About fifteen years ago, a classically trained singer, Stephanie, walked into the studio to record demos. As more people heard her demos, they started asking me to record theirs. 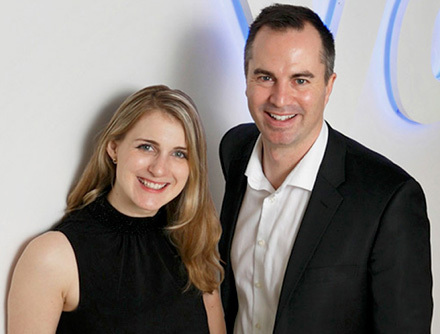 Voices.com was founded by David and Stephanie Ciccarelli in 2005 – yup, they got married – and now have over 250,000 voice actors registered on the site, which is headquartered in London, Canada. What the site does is connect producers looking for voice talent with voice actors looking for work. Currently, they have about 120 employees working in the company. Though the two companies will continue operating as separate platforms, their merger allows the combined company to better serve voice over needs from animation dubbing to global television spots to podcasts to gaming; even recording messages for interactive phone trees. Someone who wants to make money as a voice actor or narrator or other voice talent needs to have the ability to record professional-grade audio in their home or office. Voices.com does not provide recording facilities, though they have an iOS app that allows you to create demos using your iPhone. Actors complete a free profile that describes their voice and the type of work they are interested in doing. David emphasizes that this profile is critically important to success, as this becomes part of a searchable database containing all other actors that producers use to find the voice they want. 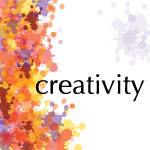 The profile becomes an actor’s key marketing tool to create job matches. Then, an actor uploads a audio demo for each voice category they want to be considered for. The secret here is that the more categories an actor submits, the more likely they are to find work. Once the profile and demos are complete and uploaded, the actor just sits back and waits for someone to connect. Behind the scenes, Voices.com software breaks down the actor’s profile into categories. Then, the software will recommend matches to producers. Actors are notified when someone listens to their demo, whether they “liked it,” which means marked it as a favorite, and whether they were hired for a job. So far, everything is free. Once a producer contacts an actor asking for an audition for a potential job, the actor then needs to spend $40 per month (or $400 / year) to become a member, which allows them to audition. In other words, actors don’t spend any money until jobs start to present themselves. Obviously, there is no guarantee that any actor will find work. There are 250,000 registered actors on the site. And of those 250K, only about 7,000 actors work regularly. Voices.com books about 500 jobs per month. When a producer has a potential job, they post a description of the work, the voice character they are looking for, the audition deadline, a sample script and a budget range. Posting a job is free, but hiring an actor requires an up-front payment. The system then recommends actors whose profile most closely matches the categories the producer is looking for. It displays a list of potential voices and allows the producer to hear the demos each actor posted. The software also calculates, based on experience, a ranking of how likely that actor will fit the part. Once the producer narrows their search to a few voices, they ask each actor to audition. Before deciding to audition, an actor sees the job description, sample script, and their ranking. This allows them to make an informed decision on how likely they are to get the job. After listening to all the actors that submitted an audition, the producer picks the voice talent they want to hire. At this point, Voices.com collects the budget fee and holds it in escrow. This reassures the actor that they will actually get paid for their work, because the producer has already paid Voices.com before the job even starts. Actors are paid when the job is complete. Voices.com collects 20% of the budget on top of the money paid to the actor, so that the actor always receives the amount promised in the original budget. The minimum budget is $100 – $200, though many jobs pay much more.